With the year wrapping up faster than us on Christmas Eve (procrastinators unite), we’re using the last few weeks of December to enjoy glorious new eats and discover new openings for our 2019 To Do List. All that glitters is Goldfinch, the CBD’s newest restaurant and café. Opening Boxing Day and nestled on the Pullman’s ground floor, Goldfinch is named after the iconic 1970’s Goldfish Bar; featuring lush greenery, Hamptons-inspired décor, and plenty of natural light from the glass ceiling. Serving breakfast, lunch and dinner on the daily, we may never leave – and with everything from Elixir coffee, fresh smoothies and acai bowls to Mooloolaba prawns, braised long leg octopus, and a wood-fired oven, could you blame us? Broadbeach locals, are you ready for $7 glasses of rosé? How about decadent dishes such as tuna tartare with nectarine, avo, and pickled strawberries? Experience the winer side of life at Frankies Brasserie, opening December 18 at 20 Queenslander Ave! This casual brasserie will offer a carefully selected wine list of six whites, six reds, two rosés and one sparkling, as well as eats concocted by head chef Graham Towner. We wouldn’t put it pasta Fortitude Valley to open a hole-in-the-wall pasta laboratory, and now, we’re welcoming Ripiena with open mouths! 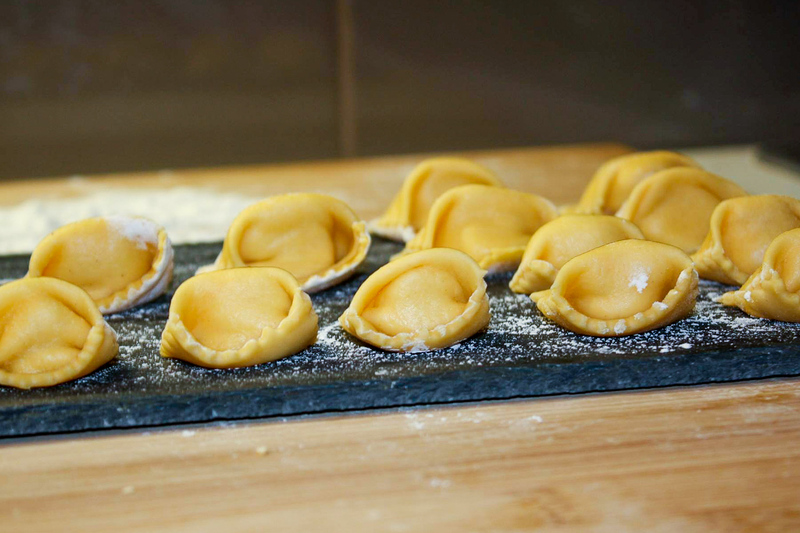 Created by pasta specialists Nicoló and Anita Campagnari, enjoy the simple yet elegant flavours of freshly made pasta, high quality ingredients, and an unpretentious menu that’ll keep you coming back for more. I scream, you scream, we all scream for it is so humid that we’re forced to endure our hair taking the form of a sad afro. No worries, friends; King Street will welcome the opening of La Macellaria in February next year! Indulge in all the icy goodness that you’ve come to love, right in Bowen Hills. Looking to attend a NYE event but don’t want to harvest your organs on the black market to afford a ticket? Riverbar and Kitchen is saving the day with a free to enter, tropical themed party! Refresh yourself with spritzes, Bellinis, cocktails and slushies; plus, dress to impress in your tropical best and you might just walk away with a fab prize! Introducing our Christmas gift to you - pass on the festive foodie feels, or keep the deals for yourself!